Build task to run tSQLt Unit Tests and publist its results and code coverage. Export the code coverage report to the build summary. Originally, there is no build task that does all those 3 tasks. Thinking from an automation and engineering perspective, once you run your unit tests, it would be good to have its results published somewhere to inspect and adapt your tests. This is an Open Source component written by Ed Elliot to extract code coverage from a tSQLt test execution. 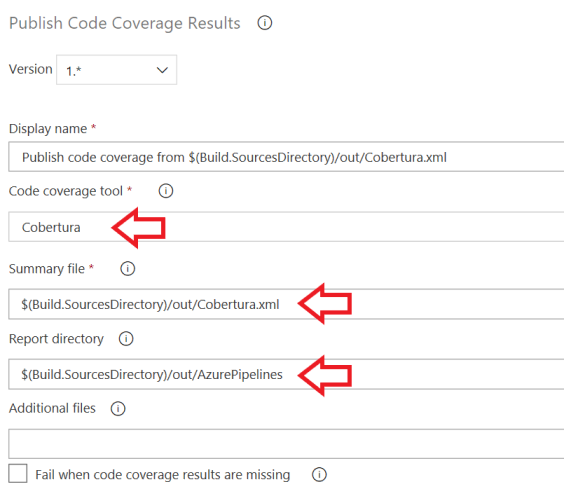 An Open Source tool written by Daniel Palme to convert OpenCover code coverage reports to Cobertura, a coverage report supported by Azure DevOps. See more here. Daniel Palme also wrote a tool to convert XML Code Coverage reports into human readable reports in various formats. This extension is still in preview to gather information on using, feedback and tracking initial issues. The only important thing here is to highlight that the working directory for the task will be the build sources directory. You can change this but it's recommended to keep it as it is. SQL Server Connection String: Make sure to test your connection string before using it here. A good source for connection strings is the Connection Strings website. SQL Connection Timeout: It's recommended to use 60 (seconds) as a timeout for your connection. Be careful not to add an amount of time here that could make your build stuck on your queue. You'll have default information filled here that is supposed to make it work by default with the requirements of the Publish Test Results task. You can also customize it. The root folder to store all the output for this task: You must be aware that all the output from this task will be dropped under working $(System.DefaultWorkingDirectory)/tSQLt-out (or whatever you configure here). 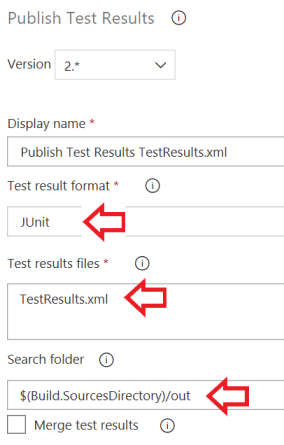 The name for the Test Results XML report: This is the file that the Publish Test Results task will use to publish the results to the summary. Its default value is already discoverable by the Publish Test Results task's default configuration. Folder to store the Open Cover generated source: It will be useful to show detailed code coverage report. The name for the Cobertura Code Coverage XML report: You'll use this format to Publish Code Coverage report later. HTML reports output: You'll need to publish this folder as an artifact so it will be shown as part of the build summary. If any of your tests fail, the task will also fail. 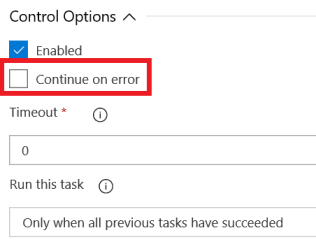 Because of that, you must mark the Continue on error option so your pipeline will publish test results and code coverage reports, if enabled. Test result format: The test results tSQLt provides is JUnit based. Test results file: The file name you configured on The name for the Test Results XML report. If you enabled Code Coverage on the Tests task, you'll need to publish its results to the pipeline summary. Code coverage tool: You must select Cobertura as this task produces the results using this format. Summary file: The combination of working directory, root output folder and the file name you configured on The name for the Cobertura Code Coverage XML report. Report directory: The directory containing the HTML reports output.